Raffi Freedman-Gurspan recently called for state and federal officials to do more to address a recent wave of trans homicides. 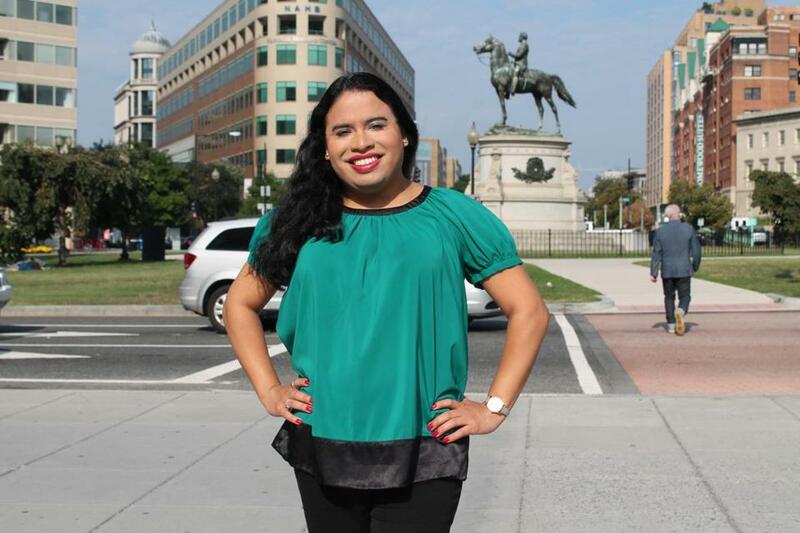 WASHINGTON — The White House has appointed its first openly transgender staff member. Raffi Freedman-Gurspan, a graduate of Brookline High, has been hired as an outreach and recruitment director for presidential personnel in the White House Office of Presidential Personnel, LGBT groups and the White House said Tuesday. In a news release, National Center for Transgender Equality Executive Director Mara Keisling said: ‘‘President Obama has long said he wants his administration to look like the American people. I have understood this to include transgender Americans. A transgender person was inevitably going to work in the White House. Freedman-Gurspan’s previous job was at the National Center for Transgender Equality, where she worked as a policy adviser for the Racial and Economic Justice Initiative. In that role, she also urged the government to release undocumented transgender immigrants who cannot be adequately protected from sexual violence in detention. ‘‘To really end the suffering transgender detainees face, the Obama Administration must release transgender detainees for whom being in detention makes them a target of sexual assault and violence,’’ she said in a June statement. Freedman-Gurspan, a 2005 graduate of Brookline High School, also spent several years working for Massachusetts political figures and organizations. She served as a legislative staffer for the Mass. Transgender Political Coalition and later as a LGBT Liasion for the City of Somerville following her graduation from St. Olaf College in Minnesota, according to her LinkedIn profile. She also served as legislative director to former state representative Carl Sciortino, then a Medford Democrat. The trans advocacy group announced the White House appointment Tuesday, in a press release containing several statements from the leaders of other LGBT organizations. ‘‘We’re celebrating because this is an important milestone for the transgender community, but we’re also thrilled that Raffi Freedman-Gurspan, an incredibly smart, talented, and committed professional, will now be working for the American people,’’ said Aisha Moodie-Mills, president and chief executive of the Gay & Lesbian Victory Fund and Institute. A handful of openly trans individuals have worked in the current administration, but not as a White House staff member. Two of them -- Jay Davis at the Environmental Protection Agency and Amanda Simpson, executive director of the U.S. Army Office of Energy Initiatives -- participated in a White House video supporting a ban on conversion therapy earlier this year. Other trans administration officials, according to the NCTE, have included Dylan Orr, a former special assistant at the Department of Labor; Chloe Schwenke, senior adviser for LGBT policy and senior adviser to the Bureau on Democracy, Human Rights, and Governance; and Shawn Skelley in the Department of Defense. Obama also appointed trans attorney Shannon Minter to the President’s Commission on White House Fellowships in June.